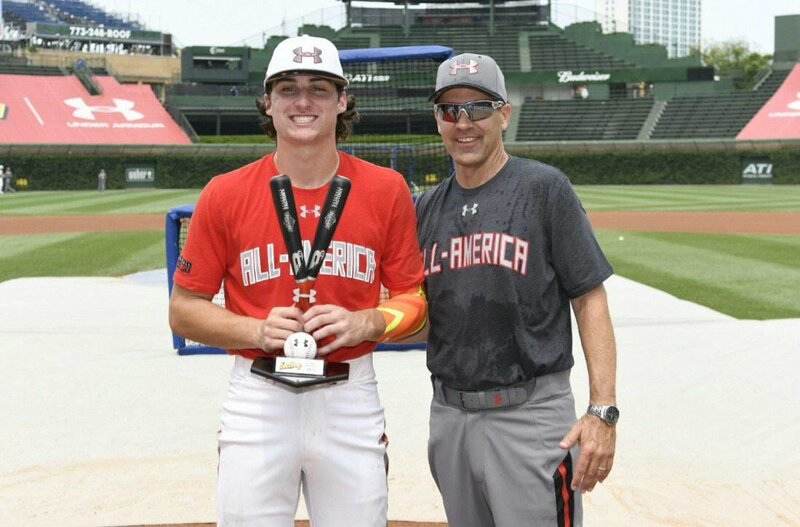 Before the Under Armour All-America Game, eight players participated in the Eastbay Home Run Derby. Each player got two minutes to hit as many home runs as they could. Four players were chosen from the National Team and four were chosen from the American Team. The player who hit the most home runs for each team moved onto the finals to compete for the crown. Hunter Greene advanced for the American Team, while Jordon Adell and Ryan Vilade took part in a swing off to advance. Both Adell and Vilade hit two home runs in the swing off (five swings total), and both players advanced in a three-player final. Each player got two minutes in the final round, as well.